In a continuum the tendency of pre-existing cracks to propagate through the ambient material is assessed based on the established concept of configurational forces , , . In practise crack propagation is however prominently affected by the presence and properties of either surfaces and/or interfaces in the material. Here materials exposed to various surface treatments are mentioned, whereby effects of surface tension and crack extension can compete. Likewise, surface tension in inclusion-matrix interfaces can often not be neglected. In a continuum setting the energetics of surfaces/interfaces is captured by separate thermodynamic potentials . Surface potentials in general result in noticeable additions to configurational mechanics . This is particularly true in the realm of fracture mechanics, however its comprehensive theoretical/computational analysis is still lacking. The project aims in a systematic account of the pertinent surface/interface thermodynamics within the framework of geometrically nonlinear configurational fracture mechanics. The focus is especially on a finite element treatment, i.e. the Material Force Method . The computational consideration of thermodynamic potentials, such as the free energy, that are distributed within surfaces/interfaces is at the same time scientifically challenging and technologically relevant when cracks and their kinetics are studied. Theoretical and computational aspects of configurational fracture mechanics will be explored comprehensively, whereby the influence of surface/interface thermodynamics will in particular be taken into account. Informed by P1-P3 different complexities of the modelling will be investigated by distinguishing isotropic and anisotropic surface/interface energies. 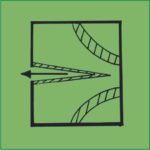 As a result theoretical and computational investigations based on configurational mechanics will analyse, e.g., the influence of surface treatments of materials or the effect of surface tension on various aspects of fracture mechanics. In summary this project will pursue the modelling and simulation of typical problems in geometrically nonlinear configurational fracture mechanics under due consideration of surface/interface thermodynamic potentials with application to P8, P9, and P11. M. E. Gurtin, Configurational forces as basic concepts of continuum physics, vol. 137, Springer Science & Business Media, 2008. G. A. Maugin, Material Inhomogeneities in Elasticity, vol. 3, CRC Press, 1993. G. A. Maugin, Configurational Forces: Thermomechanics, Physics, Mathematics, and Numerics, CRC Press, 2016. A. Javili, A. McBride and P. Steinmann, “Thermomechanics of solids with lower-dimensional energetics: on the importance of surface, interface, and curve structures at the nanoscale. A unifying review,” Applied Mechanics Reviews, vol. 65, no. 1, p. 010802, 2013. P. Steinmann, “On boundary potential energies in deformational and configurational mechanics,” Journal of the Mechanics and Physics of Solids, vol. 56, no. 3, pp. 772-800, 2008. P. Steinmann, D. Ackermann and F. Barth, “Application of material forces to hyperelastostatic fracture mechanics. II. Computational setting,” International Journal of Solids and Structures, vol. 38, no. 32-33, pp. 5509-5526, 2001.